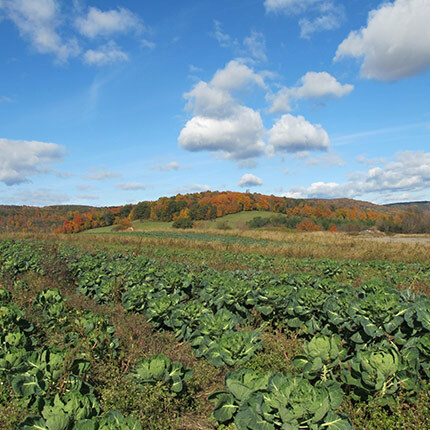 Farmers have been feeding Hudson Valley families since the 1600s. 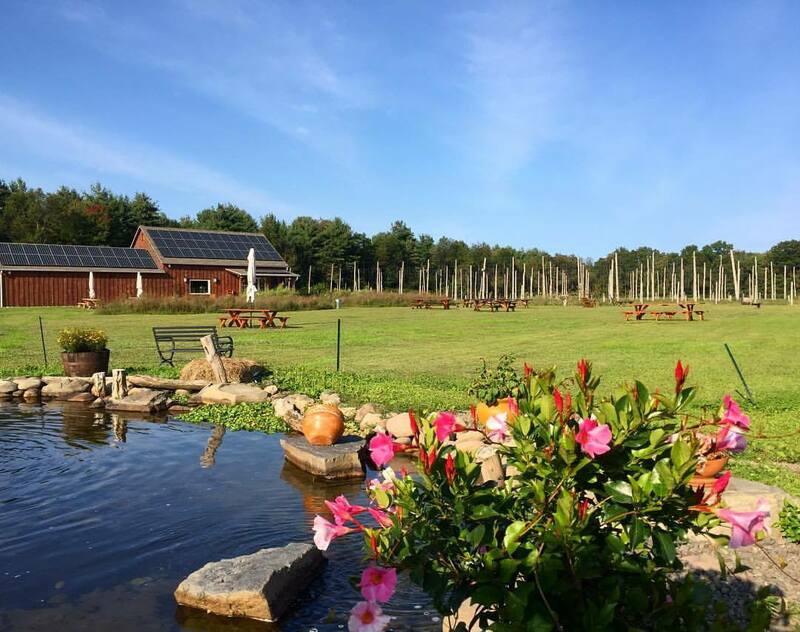 Today, these farms offer unique cultural experiences to residents and visitors who want to know where their food comes from. Food festivals for apples, cheese, garlic, wine, and many more attest to the verdant growing area of our farms. 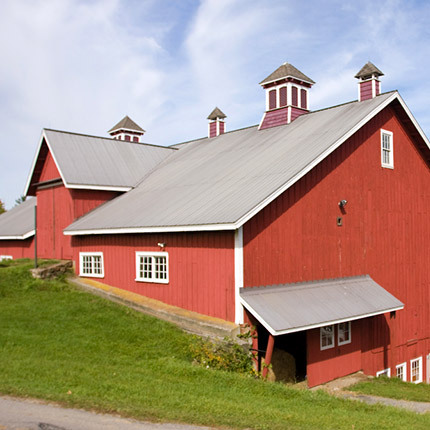 Drive down any country road in the Hudson Valley and you’re bound to come across a cheery red barn offering good fun such as hayrides, music, corn mazes, and so many other ways to celebrate the harvest. 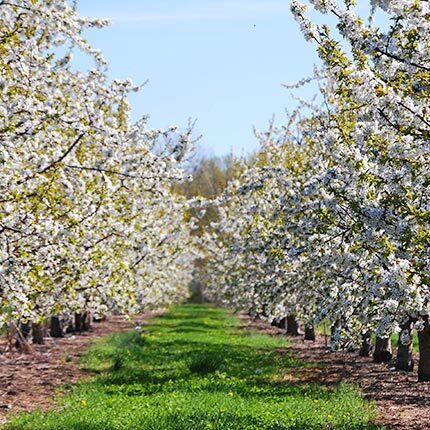 Family owned farm committed to local agriculture and growing the best apples in the area! The selection of apples, berries and other produce is simply unparalleled. And you might want to have a donut or two while you’re at it. 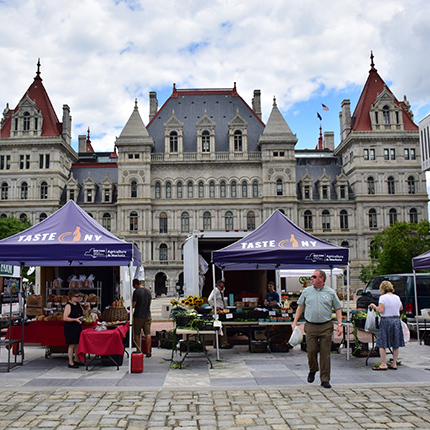 The Empire State Plaza Farmers Market is the place to find the season's freshest produce, flowers, plants, meats, cheeses, baked goods, wine, cider and much more! The market happens every Wednesday year-round, moving indoors on the Concourse from April – October. 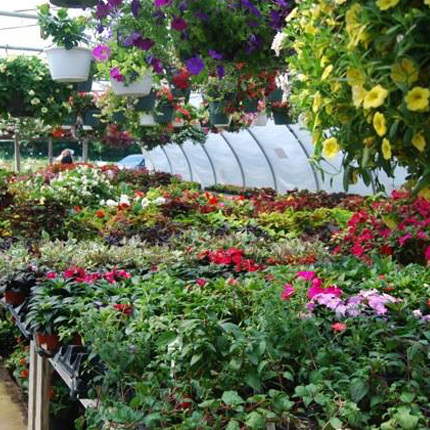 Growers of annuals, perennials, hanging baskets. 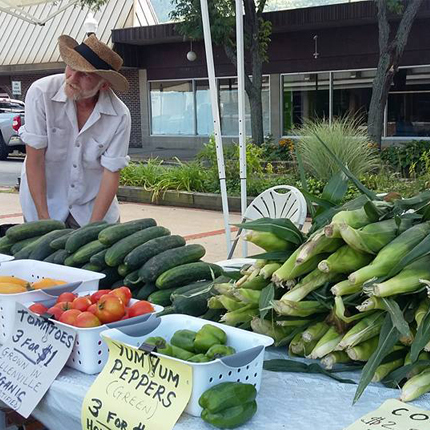 Market open year-round, selling locally sourced fruits, vegetables, fresh eggs, free-range beef, chicken and pork. 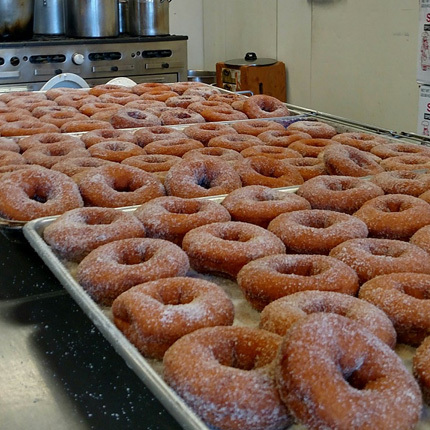 On-site bakery serves freshly baked goods, homemade soups, seasonally prepared foods, and ice cream. Also gift items, local honey, maple syrup, pasta, nuts and coffee. Corn maze open in fall. Featuring locally-grown vegetables, local cheese and yogurt, meats and poultry, freshly picked, tree-ripened fruit and berries from the orchard, and homemade pies and cider doughnuts baked on site. Mexican cafe, petting zoo, playground and daily U-Pick fruit. Birthday parties and group tours available. McEnroe Organic Farm is one of New York’s oldest and most diverse certified organic farms, standing at over 1,100 acres of fields, pastures, and greenhouses. Their Market sells a diverse selection of local, seasonal, organic groceries, and McEnroe’s own farm-raised meats, vegetables, fruits, and plants. Open year-round. 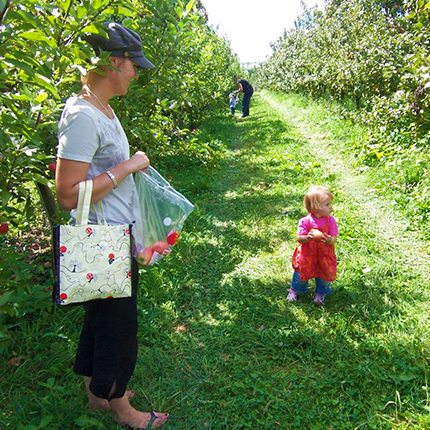 For over 60 years Greig Farm has welcomed the public onto their grounds for pick-your-own fruits and vegetables. Nothing compares to the freshness picked straight from the farm! The daily market also offers breakfast and lunch, and dinner to-go. And don’t leave without heading behind the barn to feed the adorable goats! From the moment you say “hull-o,” you will be treated like one of the family at this unique farm-stay getaway. Besides your daily chores, there is still plenty of down time for romping with the rabbits, cuddling kittens, fishing in the farm pond, hayrides through the fields, and bonfires with s’mores. Cluckin' "A" Clitter Farm, LLC. Walk among farm animals including alpacas, sheep, donkeys, and more. Shop the farm and fiber store for your spinning and knitting needs, honey, eggs, maple syrup, and processed chicken. Purchase handmade stained glass and visit the spiritual corner. Family owned farm offering homegrown fruits and vegetables; Cafe, bakery, local and gourmet foods. Gift shop. Gallery. U-pick pumpkins in fall. Observation beehive, seasonal hayrides. Family-run organic farm with farm stand and grill. Broad variety of produce offerings. Brunch and Dinner served counter service-style. Scheduled farm dinners. Weddings. Year round. This working farm in the heart of Fahnestock State Park holds a vision for sustainable food and farming throughout the Hudson Valley. Innovative programs train the next generation of farmers, and visitors can take in the rural beauty of this historic property with a self-guided tour. Glynwood’s Farm Store features a selection of specialty products made by Hudson Valley farmers and artisans, including local cheeses, grains, fruits, vegetables, pasture-raised meat and eggs. Celebrating 100 years of family farming with extensive apple orchards, bakery, Brookview Station Winery, and Annual Apple Festival on Columbus Day weekend. Where the farm meets the City. Every Saturday, more than 70+ food growers, bakers, chefs and artisans gather to offer the Capital Region's freshest and finest! Pick your own produce, visit the farm stand and taste the fresh pressed apple cider. Stop in the bakery for fresh pies, cookies, donuts and pastries. Apple picking offered as well. 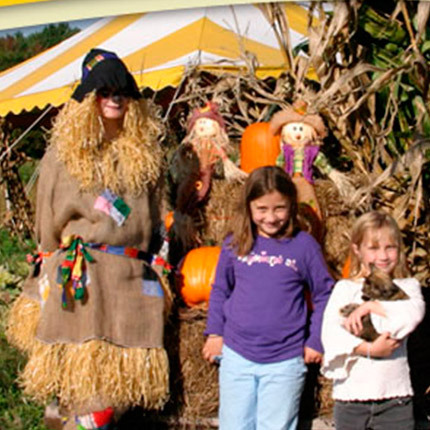 Dr. Davies Farm offers apple picking, hay rides, pumpkin picking and farm stands with a wide variety of fresh fruits and vegetables including sweet corn, apples and tomatoes. Don’t forget the fresh pressed cider. Nestled in the beautiful foothills of the Shawangunk Mountains, this market boasts fresh, locally-grown fruits and vegetables, crafts, soaps, baked goods, pesto, pickles, live music, family entertainment and health information booths. Enjoy hiking, fishing or hang gliding on your trip, too. Farm markets, specialty farms, organic products, history, wineries, restaurants, antiques, B&Bs, spas, art, dance, live entertainment, shops and businesses: you’ll find it all here! At Hilltop Hanover Farm in Yorktown Heights, you’ll learn about organic composting, how to start a backyard garden and why it’s smart to harvest rainwater. 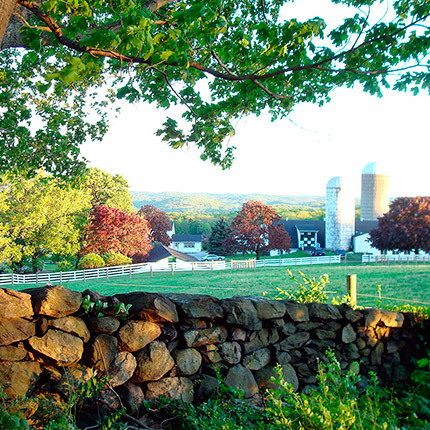 Meet the farmers, hike a woodland trail and say hello to the chickens and goats. Recall our agricultural heritage at Muscoot Farm in Somers, an interpretive site where you can stroll through a dairy barn, milk house, ice house, and blacksmith shop. You’ll see livestock and poultry breeds, some rare, typical of an early 20th century farm.